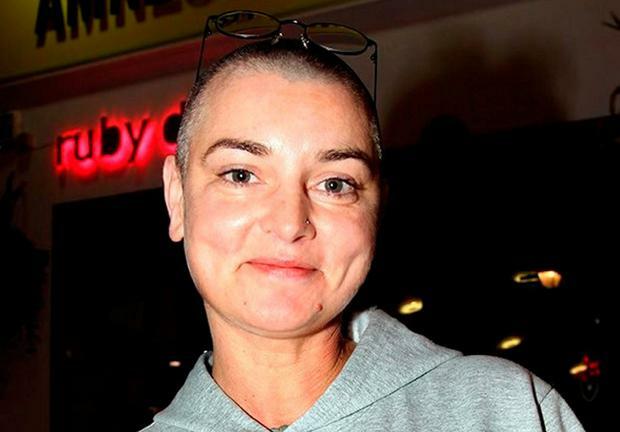 Last week Sinead O'Connor sent shockwaves around the world when she released an emotional video of herself in extreme distress, sparking concern she was suicidal or, at the very least, in need of immediate support. The troubled singer suffers from bipolar disorder and acknowledges that while she does have mental health issues, she is not alone in her suffering: "I know that I'm just one of millions and millions of people in the world that suffer like I do and don't necessarily have the resources that I have," she said in the broadcast. I know how she feels. I am one of the many people who have been diagnosed with the same condition as O'Connor and it's been a long, hard road to get where I am today. I first self-harmed when I was 25 years old. Looking back, I think I did it as a sort of temper tantrum because I really had no idea how to deal with the emotions and thoughts which were flying around my head - they were relentless and I had no outlet for them. At that time in my life I was such a people pleaser and was always paranoid about making sure I did the absolute best I could in everything. I worked long hours as a project manager in IT and was constantly stressed out, travelling all over the world and running on empty until I finally crashed. The self-harming incident, where I severed four tendons in my right hand, was dismissed as a one-off stress-related episode. I was diagnosed with depression and put on medication, but while this did something to alleviate the severe lows I was feeling, it had no effect on the manic highs which would come shortly afterwards. These times were more damaging than when I was depressed as no one seemed to think there was anything wrong at all. Everyone believed I was just full of energy and a little bit wacky, and when I chucked in my job and put my house up for rent, it was just seen as 'typical' of my fun and spontaneous personality. Equally, when I decided at 29 that I wanted to get married and succeeded to do so within a year, this was also seen as totally normal - but, really, it was just me acting impetuously without any realistic expectations of what I should be doing with my life. Needless to say, I am not married any more. There was no talk of bipolar disorder at the time, but I knew that feeling very low one day and really high the next was not normal and I began to self-medicate with alcohol. This was obviously not a good idea and didn't help at all, so in 2004, I decided to become sober and while this was better than the alternative, it didn't improve my condition. And in my early 40s I was finally diagnosed as having bipolar disorder and had my first admission to a psychiatric ward after a hitting a very low point. Getting the right diagnosis and treatment helped a lot, but in 2014 I was subjected to workplace bullying and this led to another severe crash. I was admitted to hospital again. Work had become a huge part of my life and when something bad happened there, I really couldn't cope. In 2015, I went for my first session of counselling and I can honestly say that this changed my life. I learned how to understand when I was stable, to identify when I was having a bit of a wobble and also to learn when this was about to tip over into a crisis. I took up meditation, increased my physical exercise and improved my diet. I started taking time for myself to relax and unwind and also to connect with family and friends as being isolated is a trigger for my condition to turn into a crisis point. "I developed breast cancer last year and am now in recovery, but am very happy with how things are going. I try to always find the positives in life and even when I am having a low point, I now know what to do to help myself. "My career as a project manager is over and I am so much more relaxed with life. I am doing an online course in mental health care as this is an area I would like to work in now. And I am currently an ambassador for seechange.ie as I believe talking about issues such as bipolar is the only way to reduce the stigma surrounding them. So I know exactly what Sinead O'Connor is going through right now and I really feel for her. I also believed that I was worthless and unloved and this sort of mental disorder is so debilitating - it actually causes physical pain and it is so apparent to see that she is in pain. I hope that she finds some peace and stability soon because having bipolar disorder is an uphill battle at times. Mental health issues do not distinguish between rich and poor, black and white, tall and short - they can affect anyone, so everyone needs to be aware of the symptoms and reach out to someone who is suffering. I am very lucky to be where I am now and while I am always on my guard, watching for signs of a recurrence, I have a support system and the knowledge of how to deal with things. So I would encourage anyone who is suffering with depression or feels they have the highs and lows of bipolar disorder to find someone to confide in - it doesn't have to be someone they know, but they must not keep it to themselves - sharing the worries can be life-changing. Pieta House can be contacted on 1800 247 247. For more information on Pieta House visit www.pieta.ie.